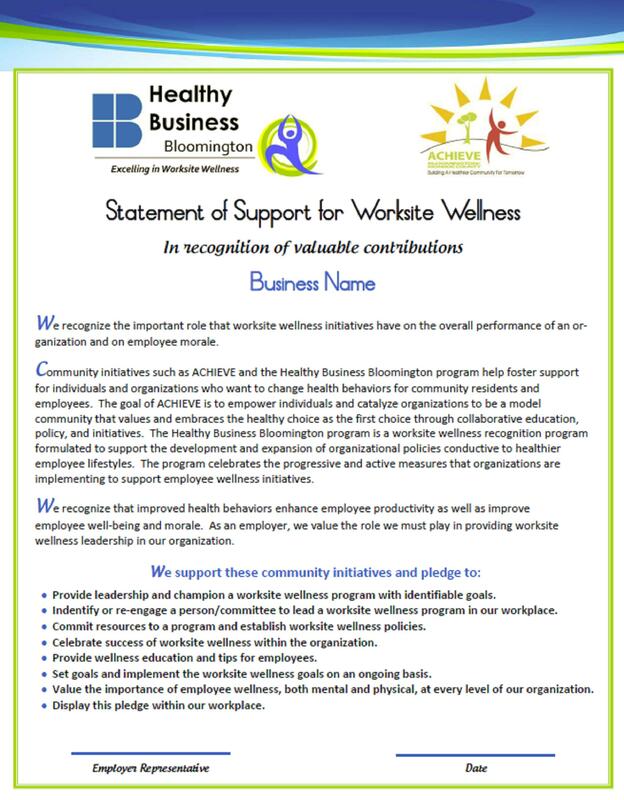 The Greater Bloomington Chamber of Commerce’s Healthy Business Bloomington recognition program was created to support the development and expansion of organizational policies conducive to healthier employee lifestyles. Each week more businesses are showing interest and the program is growing in popularity at an incredible rate but this raises an important question – why? 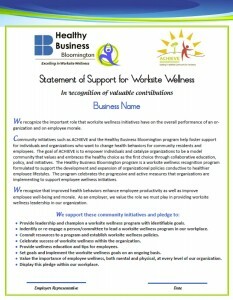 Why are worksite wellness programs important and what’s in it for the employer?! This entry was posted in Healthy Business and tagged chronis disease, health insurance, healthcare, Healthy Business, worksite wellness on June 24, 2010 by Bloomington Chamber Staff.